two LCD panel-based devices – the iPhone 8 and iPhone 8 Plus; and the OLED-based iPhone X,” the report reads. The next-generation iPhone models will come with support for wireless charging and 3D sensing features. Of course, the report needs to be taken with a pinch of salt as there’s no official confirmation. 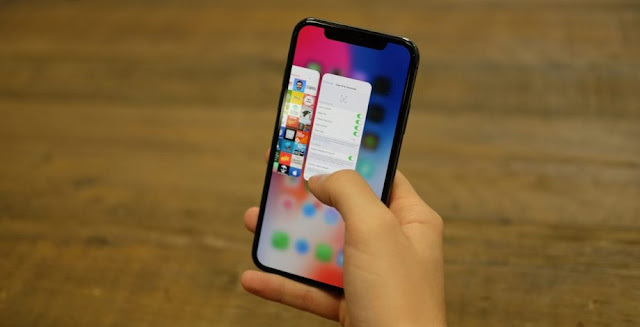 The latest report is in line with KGI Securities analyst Ming-Chi Kuo’s predictions who claims Apple will announce three new iPhone models this year. However, according to Kuo, we could see two iPhone models with OLED display and a LCD iPhone model. This includes two OLED iPhone models with 5.8-inch (new iPhone X) and 6.5-inch screens (iPhone X Plus) and a 6.1-inch LCD iPhone with iPhone X style features. Apple iPhone SE 2 could make a debut alongside Apple iPhone X as well. The successor to the iPhone SE will be targeted at the mid-segment of the market. Meanwhile, Kuo has claimed that iPhone X will be discontinued in the second half of 2018 as sales have not been up to expectations. He has indicated, the iPhone X has not done so well, even in markets like China which are crucial for Apple. The predictions are interesting as a report by research firm Canalys said that Apple iPhone X was the world’s best shipping smartphone model for the fourth quarter of 2017 with shipments crossing 29 million for the device. Apple managed to ship 7 million iPhone X units in China alone, according to the report.